Earlier this month it was announced that eAutoAppraise will work with Kelley Blue Book to enhance the eAutoAppraise platform. eAutoAppraise is a dynamic trade-in platform that aims to deliver the clearest and most up to date information available in order to improve relationships with car sellers, buyers and the dealership staff. Kelley Blue Book has a long standing reputation as the authority in used car pricing. First established in 1918, the Kelley Blue Book staff has seen cars evolve from Model As and hand cranked transmissions to electric cars featuring autonomous driving. These companies hope to bring together KBB’s rich historical knowledge and experience to the cutting-edge eAutoAppraise platform to deliver quick access to the information they need and the quick service and insights required to make the buying and selling process easier and less stressful for customers. 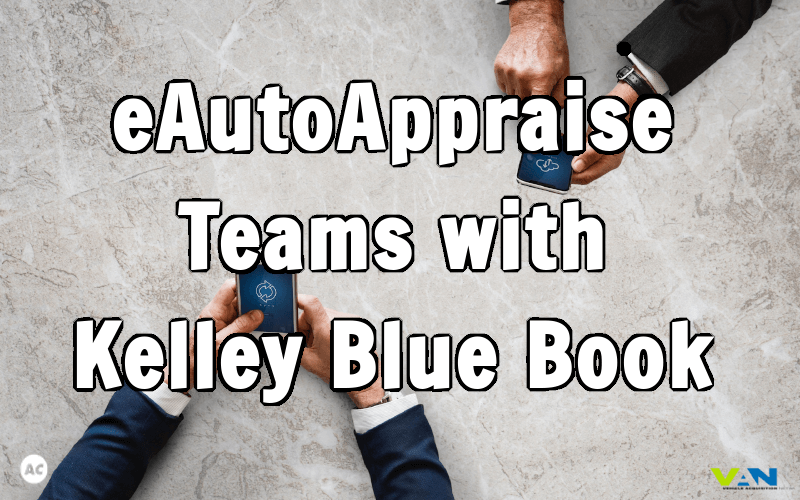 The union of eAutoAppraise and the Kelley Blue Book team is expected to be a win-win for dealers and customers. A platform that offers the ability to upload video, photos and raw data means customers know they’re getting a reliable valuation on their car. The additional information also means dealers can hit the ground running on high-quality leads. To get the full details, read the official press release here.